Here is a translated excerpt from p-magazine in Belgium. The story is about the Matala Festival 2012 where I played and was interviewed. On the poster of the Matala Festival is also a Belgian, although he lived over 30 years in Crete. Joel Grandel comes from Winterslag and worked from age 16 to 21 in the Limburg coal mines. After some years he had seen enough under the ground and was attracted towards Crete where he went to work as a street musician. From there he ended up in the tiny southern village of Diskos, the one-time hangout for freaks who built their huts on the beach. "I built my own hut there, sold homemade jewelry and played music on the streets and in the taverns." Twelve years ago he stopped designing jewelry and found a new passion: planting trees. "I am completely at one with nature and want to protect it as much as possible. In the no man's land of the coast, nobody can stop me. Initially, everyone thought I was crazy, but now even the government recognises that I'm doing a good job. Now I plant about 50 trees per year." Joel has not only the eyes and the face of a real Indian, he feels like one too. "I was once in Arizona and felt, as here, at home immediately. This also translates into my music in which I combine flute and guitar. I am also a very good childhood friend of Danny Mommens (from the famous Belgian band "Vive la Fete") and have spent four months with him and Els (Pynoo) to help in the construction of their new studio. 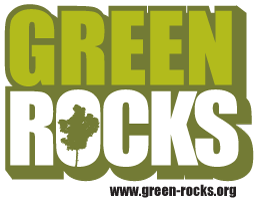 Whilst there I recorded my Green Rocks CD." Joel Grandel looks happy with the life he leads. "I feel enormously rich because I know so many people who appreciate me for what I do. With very little you can accomplish a lot. It's a pity that so few people realize that." Now you can access my music and videos by clicking on the new Music and Videos page links above. Click here to view the Diskos Trees 2013 photo album. I first started planting them in 2003. So I can plant more trees and record more music, please support me.